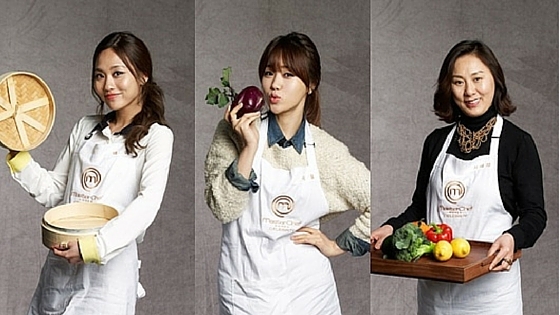 Top 5 Christmas Gifts for Korean Foodies! 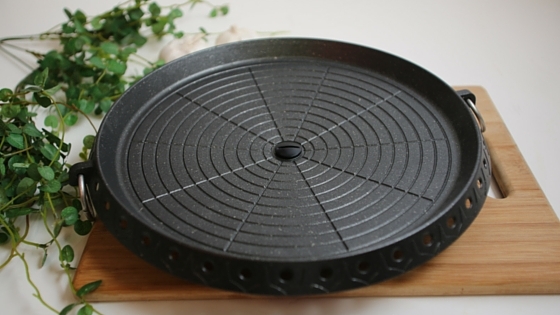 It’s the gift-giving season once again, but we at Korean BBQ Online are not too worried about what possible gifts to give to our buddies who are also Korean foodies. As you all know, there’s not a lot of things in this world that makes a foodie’s heart leap for joy than – what else – food. 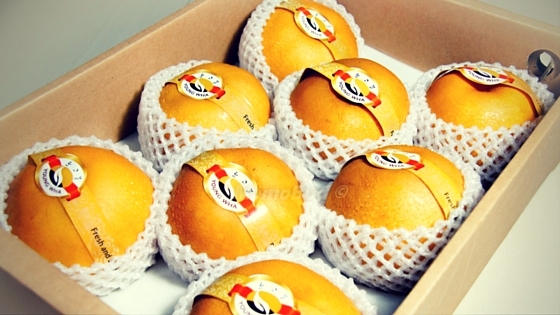 Fruits are part of almost any Korean’s diet, so giving baskets filled with assorted fruits will always be warmly appreciated. Don’t be shy in putting in some mangoes, bananas, pineapples, plums, or even kiwis in those baskets. Nuts and even dried fruits can also be included into the mix. 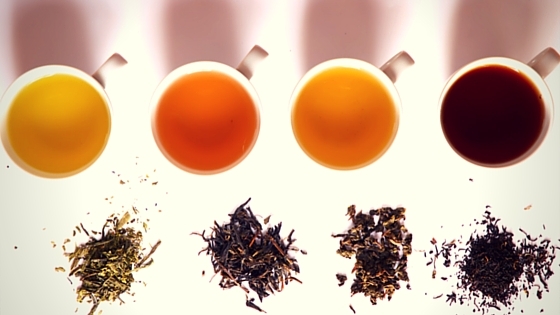 We all know the health benefits that drinking tea provides, and Koreans will be one of the first people to attest to this. Give them an opportunity to have more memorable tea-drinking experiences by giving them boxes of tea in different flavours. Persimmon and ginger seem to be the top favourites! Korean BBQ enthusiasts will just hug you right away if you decide to give them an indoor grill. 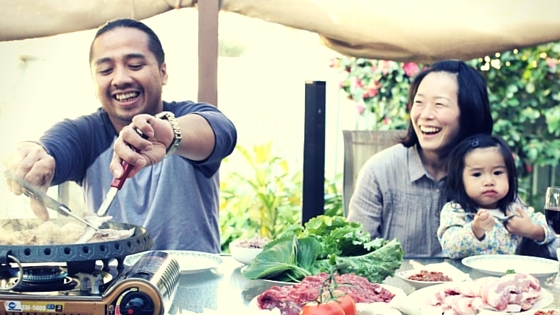 Now you’ll give them a chance to host their own Korean BBQ feasts (and you’ll be the first one to be invited, that’s for sure) or just have small, intimate lunches and dinners right at the comforts of their own homes! 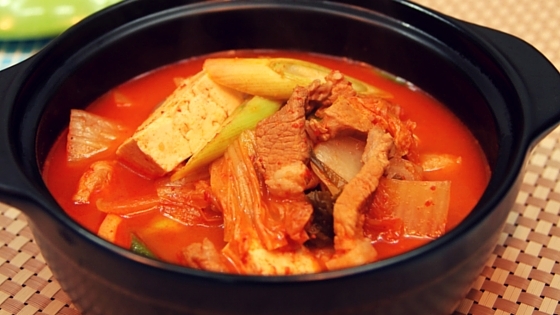 Korean BBQ restaurants can be costly, and the weather can be unpredictable. But because of your precious gift, they can now grill their meats whenever they want to. Korean’s love for food definitely starts at an early age, and one way to please both Korean parents and kids this holiday season is to give them lunchboxes as gifts. Lunchboxes will somehow encourage parents to prepare food for their kids in a creative and awesome way. What a way to foster a parent-child relationship! 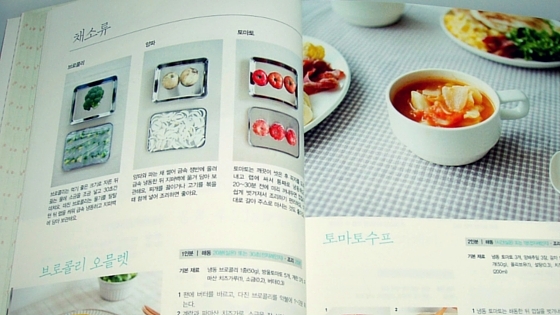 The Korean foodies you know will rejoice even further if you give them a cookbook that details the steps on how they can whip up their favourite Korean dishes. 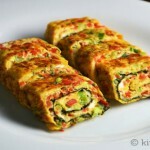 What a way to unleash the inner chefs in them! It also doesn’t help that the images of the dishes featured in these cookbooks are just divine. 2015 flew by so fast that we are now in the month of December. And this only means one thing – Christmas is coming! We’re now smiling from ear to ear because it’s that time of the year again when we bask in the spirit of holiday cheer. I don’t know about you guys, but we at Korean BBQ Online believe that Christmas is hands-down one of the best holidays of the year. Seriously, who are we to complain about the free gifts and seemingly endless merrymaking? But have you ever wondered how it must be like to celebrate Christmas in Korea? Do you think they also practice the same Christmas traditions that we do here? And do they also believe in Santa Claus? There’s a significant number of Korean Christians, and the religion itself is constantly spreading in Korea. This explains why Christmas is considered a national holiday in Korea even though Buddhism is the religion of most Koreans. Yes, Koreans also do the usual gift exchanges and decorate their houses with bells, lights and trees during the Christmas season. The way they observe these practices, however, is a bit more toned down than what the Westerners are used to as Christmas in Korea is more of a religious holiday. There’s also a growing number of Koreans who just give money as a gift instead of buying an actual gift. Not too bad! Santa Claus? More like Santa Harabeojee! I know you’ve asked this question, so here’s the answer: Koreans do have their own version of Santa Claus, which they call as Santa Harabeojee. And just like the doting Santa that we all know, the Korean Santa also gives candies and other lovely presents to everyone. But don’t be surprised if you see a Santa Harabeojee donning an attire in blue and not the typical red! 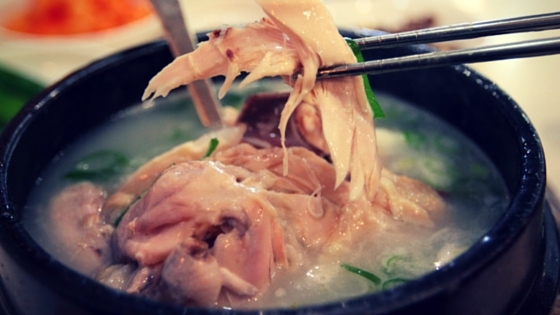 Koreans are big food lovers, so it is already expected to see families gathering together during this holiday to share a good meal. Either they eat at the comfort of their own homes or they go out for a change to try new restaurants. Nothing really beats celebrating Christmas in Korea than surrounding yourself with loved ones, enjoying some good food, and exchanging stories at the dinner table. In addition to the usual Christmas carols and jingles that are being played over and over again during the Christmas season, Koreans are also big on listening to Kpop music during the holidays. Kpop music is now invading the global airwaves all because of its trendy and catchy beats that are just perfect to celebrate the holiday spirit. There are still some things that remain the same regardless of where you are in the world, so I guess this is pretty much self-explanatory. It’s the holiday season, which means that it’s time for most Koreans to splurge a little bit on some gift-shopping and sale hunting! Have you actually celebrated Christmas in Korea? And how do you celebrate Christmas in your family? We would love to know all of your Christmas traditions and practices by posting them in the comments section below. Koreans love food. 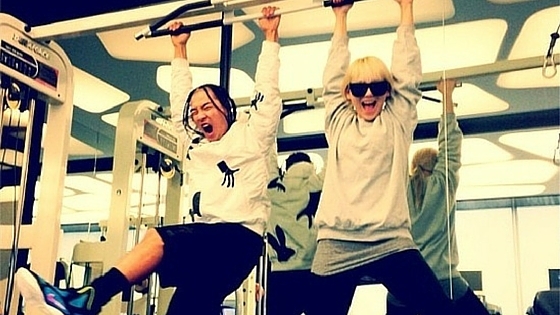 They love it so much that their passion for it became known worldwide. 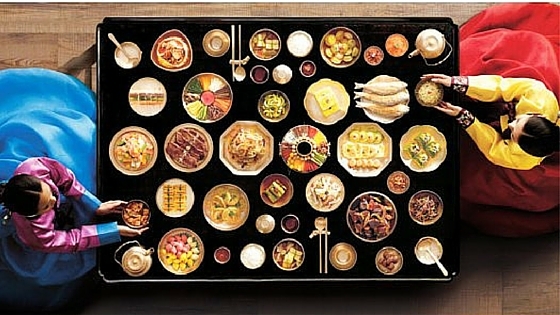 Given the significance that Koreans place on what they eat, it is then understandable that they also place high regard on dining etiquette. To be safe, always seat the last. Letting the older people sit first is a sign of respect. Don’t forget to say your gratitude to the host by expressing how much you’re looking forward to eating the food before you. In Korean we would say, “jal-meok-kket-sseum-ni-da”. It’s the same thing for eating – always let the older people lift their eating utensils first. Or just excuse yourself if you really have to! You’re not in an eating competition. 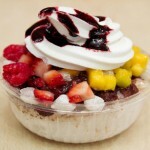 Always pace your eating so you can savour every flavour. 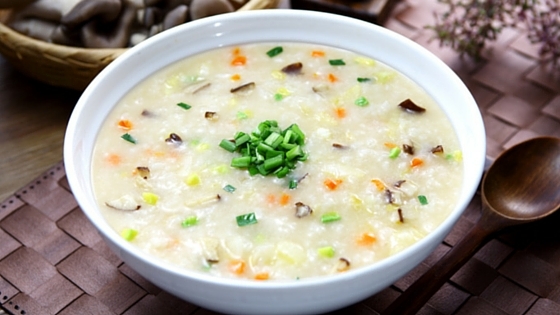 It’s time to stop the habit of holding your soup and rice bowls while eating. 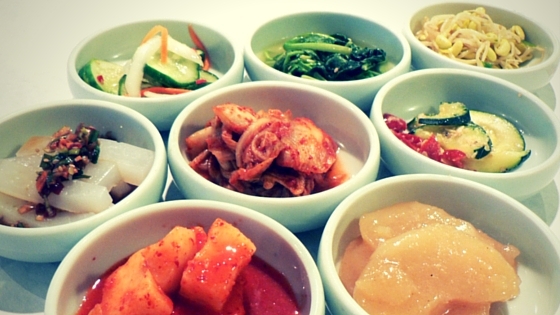 Most Korean meals are communal, so do not double-dip. Offer to serve food to others first, including drinks, especially if you are dining with older people. Food wastage is a big no-no, so always ensure that the quantity of food that you put on your plate is something that you can really finish. When you receive drinks or offer food for someone, then always hold the cup or plate with both hands. 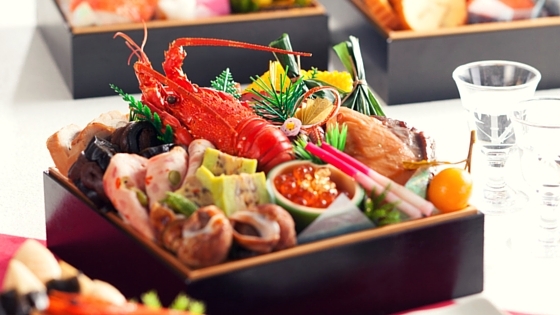 Don’t put your chopsticks straight-up as they will resemble those sticks used for ceremonies for the dead. The general rule is that all utensils must be placed on the table. 12. Say thank you after a lovely meal! Should this even be explained? Never forget to utter your best jal meo-geot-sseum-ni-da to your dining host. 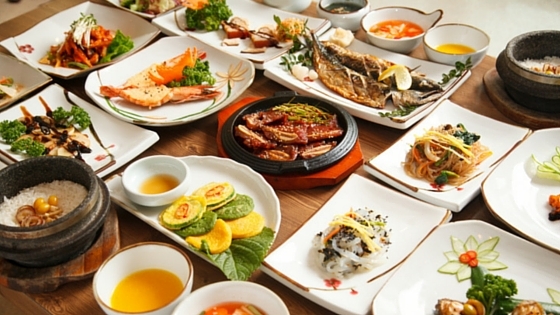 Do you have any Korean dining etiquette stories to share? Or maybe you want to add something to the list above? 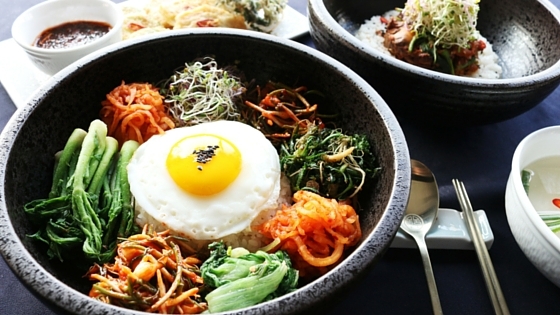 Feel free to share your Korean dining practices on the comments section below! 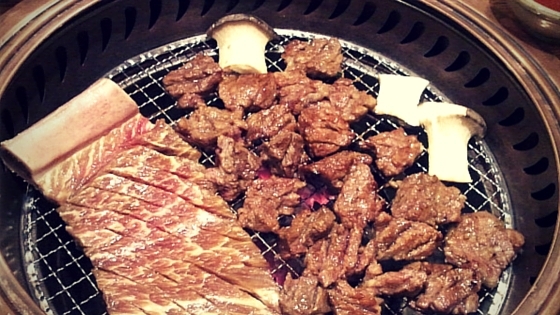 5 Korean BBQ Meat Cuts You MUST Try! 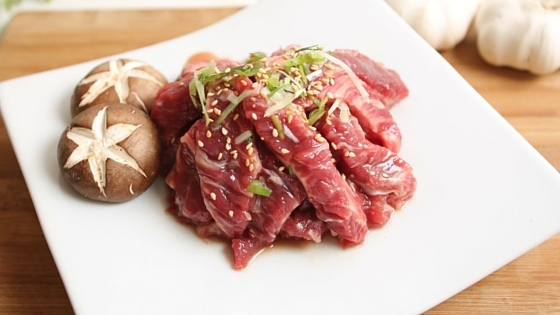 Learning the different types of Korean meat cuts can be intimidating at first, but we all know that nothing’s going to really stop a Korean food lover like you from learning anything, right? You’re definitely not a novice now when it comes to Korean meats, and now you’re determined to learn various Korean meat cuts so you can finally host your own Korean BBQ party. These are meat cuts coming from the front part of a pig’s neck. The cuts for this portion are very detailed and you can only get a few of these cuts from one pig. 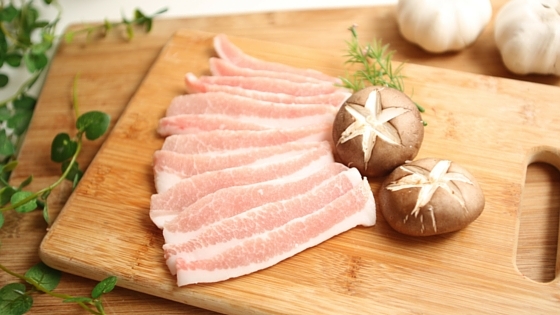 Despite this limitation, this meat cut is known for its even marbling and is very much known for its silkiness, chewiness, tenderness, and juiciness. This is one of those meat cuts that must be sliced very, very thinly because of its heavy marbling. The way this particular cut is sliced (ultra thin) will then help it not give an overwhelming fatty taste to the dish. 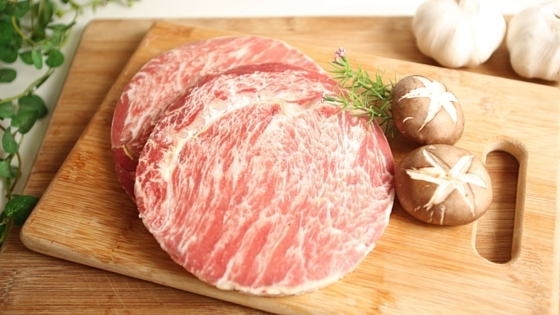 If you want to enjoy the marbling quality of beef without going over your budget, then this meat cut is for you. And oh, a piece of advice: chadolbaegi cooks easily, so always make sure that your eyes are on it to avoid overcooking. If you are a fan of rib eye steaks, then rejoice! This meat cut is for you. The cube roll (or more commonly known as rib eye) is removed from the part that covers around five to twelve ribs of the animal’s carcass. The ribs are deboned during the process, making this meat cut versatile and just perfect for dishes like shabu shabu. 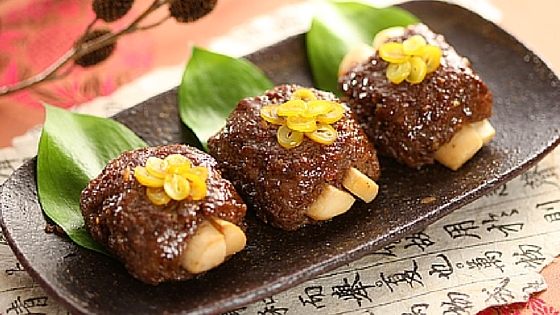 This meat cut is known for its tenderness and, as the name denotes, is almost the same size as human fingers. It does not really matter if you want to braise, boil or grill this awesome meat cut. 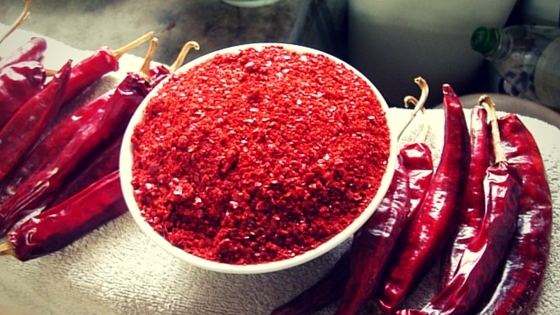 Just like chadolbaegi, it is very easy to overcook galbisal. You do not really want to eat tough beef rib fingers, so just make sure that you got your timing right when cooking galbisal. 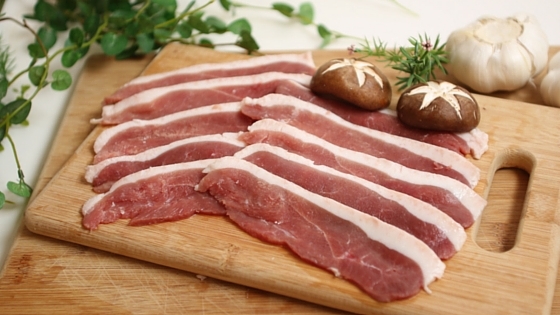 This meat cut shares more similar characteristics with that of a red meat, although the way it is cooked is more or less the same as how you would cook other poultry meat. Although duck breasts have lower saturated fats, this meat is still known for its health benefits, such as fortifying one’s stamina and immune system. 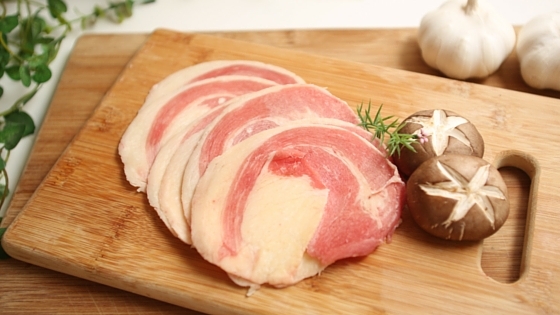 Tip: if you want a more tender and savoury duck breast fillet, then make sure you get the cut from younger ducks. The good news for you guys is that Korean BBQ Online sells all of these meat cuts! 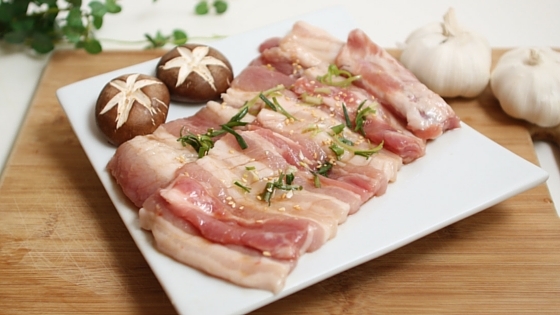 We’re so excited for you to have a memorable Korean BBQ feast, so please don’t hesitate to send us an email if you wish to learn more information about any of these top-quality meats. And of course, feel free to comment below so we will know what types of meat cuts you like best! Eat Galbi Like A Pro! So you finally know what galbi is, and perhaps you just tasted one for the first time recently. 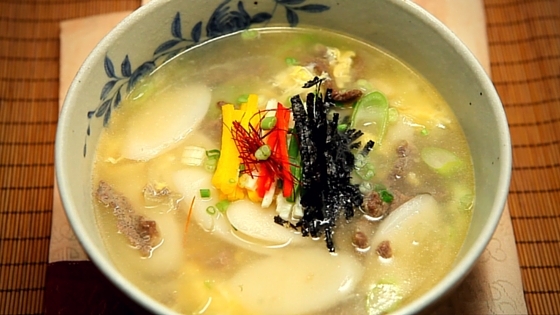 But do you actually know how to eat galbi the Korean way? Don’t get us wrong – you can eat it anyway you want (we promise we won’t judge), and there’s really no perfect method to eat it. But it would still be cool to know how Koreans actually eat it, and frankly, there’s no one else to best learn it than from Koreans themselves. So let’s get started! 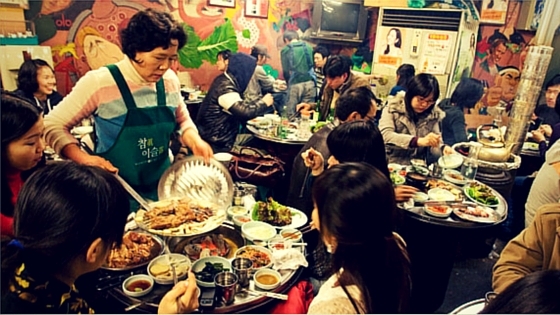 One of the best characteristics of a typical Korean meal is its communal nature – you share the food that you’re about to partake with everyone else. So whenever you’re with your Korean friends, always do your best to order food that you know that the rest will also enjoy. The more people involved, the merrier the dining experience will be! Another tip is that when you order in a Korean restaurant, don’t go all out immediately with your orders as if you haven’t eaten for a thousand years. 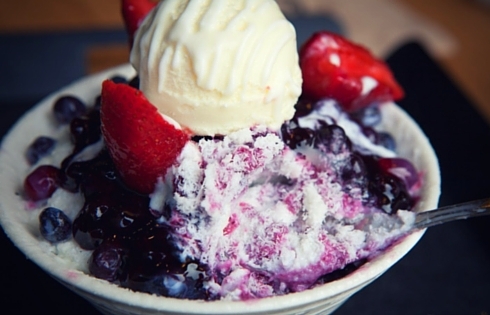 Only order dishes that you think you can finish, and then you order again when you feel that you still want to eat. Remember: wasting food is a big no-no! 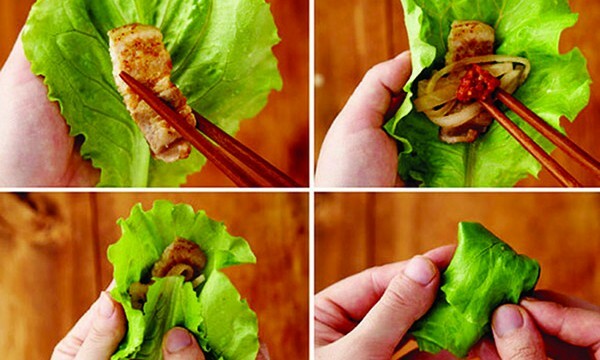 Pro-tip #2: Wrap that galbi! 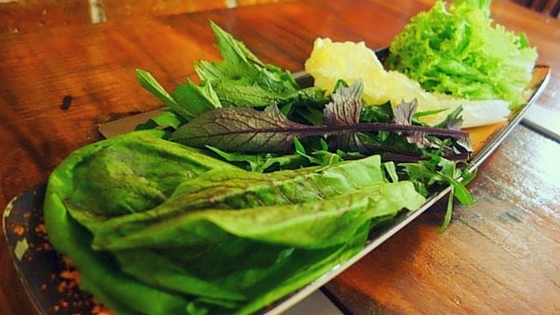 So we’re sure that you now know that Koreans use their greens like lettuce or cabbage to wrap their galbi. Some people prefer to put only their meats in their wraps, but some also add other sides like garlic, rice or even kimchi to increase their galbi’s flavour and texture. So you do whatever you want to do! However, one noticeable practice among Koreans when eating their galbi is that they put their wraps into their mouths on one go. They don’t bite it piece by piece – they just eat it as a whole! When you think about it, doing this will actually make eating galbi more pleasurable because of the explosion of flavour that will happen in your mouth! For a more savoury burst of flavour, grill your kimchi and garlic using sesame oil before you put these two in your galbi wrap. You can of course opt to not touch the garlic if you don’t want your breath to have that strong garlick-y smell. 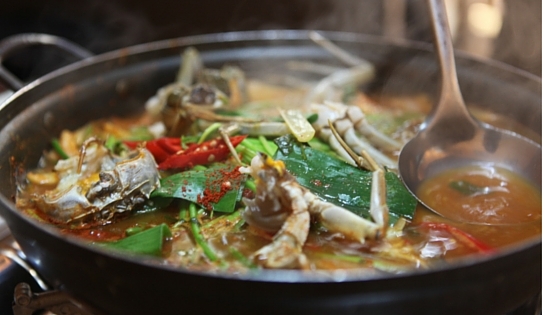 If you really want to eat galbi like a true Korean, then don’t hesitate to try Doenjang jjigae (soy bean paste stew) or Naengmyeon (cold buckwheat noodles). You might feel that eating either these two dishes is already a bit too much after all those wraps, but Koreans in general don’t feel that their galbi eating experience is complete if they don’t eat the noodles or stew. There you go! I’m sure that you all have some galbi eating experiences or other pro-tips to share, so feel free to let us know everything down on the comments section below! When it comes to barbeque, we all love something that has the perfect grilled taste that is savoury, juicy, and of course appetising. Well, one thing that matches all of these descriptions is none other than Beef Bulgogi. 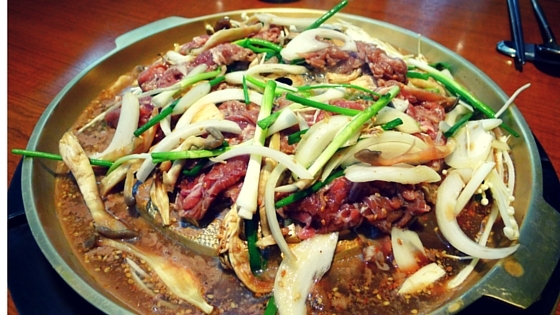 This is one of Korea’s best beef dishes that’s universally known for its amazingly delicious experience. 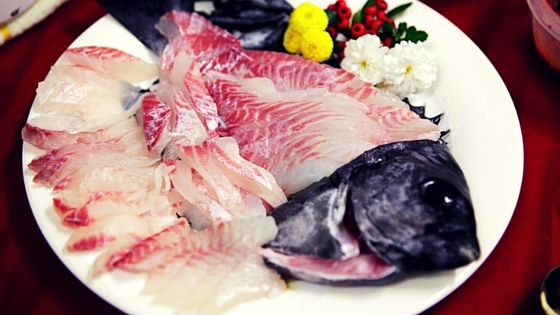 The most common preparation method of this excellent dish is to marinate it before grilling it, commonly prepared using these ingredients: soy sauce, sugar, sesame oil, garlic, and pepper. 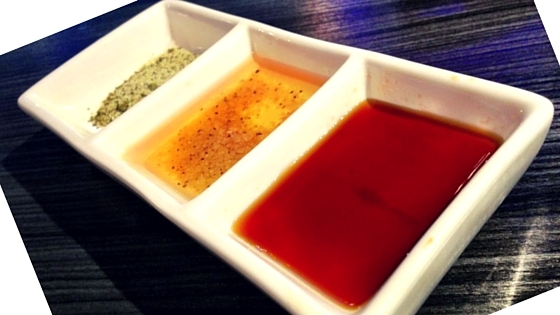 These prime seasonings can vary upon the person’s preference but still will result in a very tasty, one-of-a-kind dish. 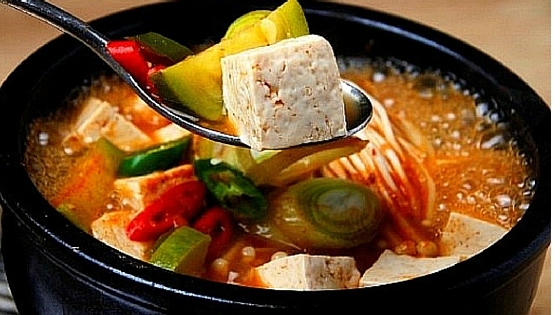 Today, there are new and exciting ways of cooking Bulgogi, but the most popular is pan-cooking. 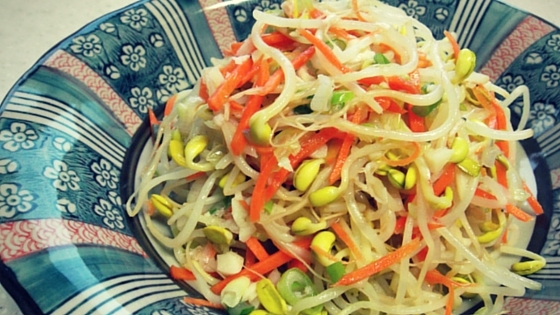 This is commonly accompanied with lettuce and other leafy vegetables to wrap a slice of the cooked meat – also great with Kimchi and Ssamjang as a side dish. 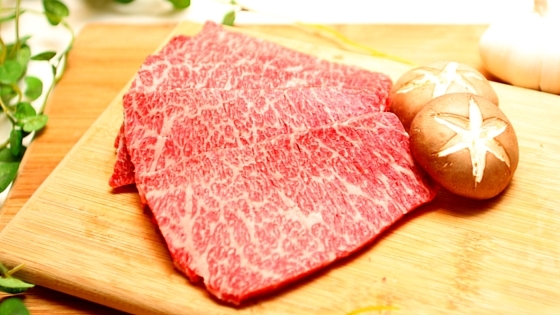 This is a favourite among meat lovers in Asia, and also exponentially spreading across the world, which begs the question…why does everyone love this food? – Because it is absolutely so tasty and tender that it literally can be felt slowly melting in one’s mouth! Although, this also is defined by the quality of meat one uses, the better the quality of meat, the more delicious it gets. In addition, a major reason that many people keep coming back for more of this cuisine is that it is a very bonding experience. 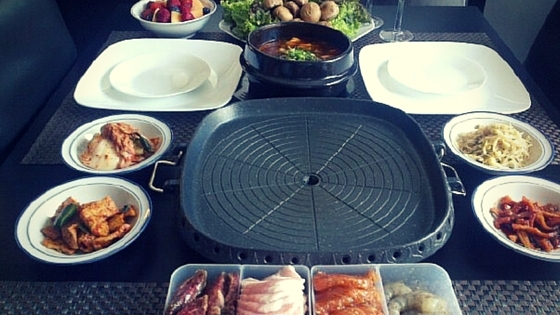 Bulgogi and Korean BBQ in general is usually cooked together by the family around a cooking pan or grill. This gives the perfect quality time to bond with each other while grilling the meat and while waiting for it to be cooked. It gives time to catch up with your loved ones — your friends, family, relatives, or even newly met acquaintances, and provides a one of a kind experience that one will miss. 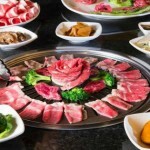 Here at Korean BBQ Online – based in Sydney – we take away the hassle and expense of having to go out to a restaurant every time you want to get your fix of Korean BBQ. Why not save your dollars and the trouble, and try our Marinated Beef Bulgogi right at home where you’re comfortable and cosy, making the experience more pleasing than ever before!